The Nation Towers, winner of an international design competition, is a mixed use development project, covering a total built up area over 3,390,000 square feet and is expected to be commissioned by the end of 2011. It features two buildings: a 64–storey residential tower, a 50–storey luxury hotel and office tower and a retail podium. A sky bridge at the 48th level will connect the two towers while an underground tunnel will link the tower to a beach club. 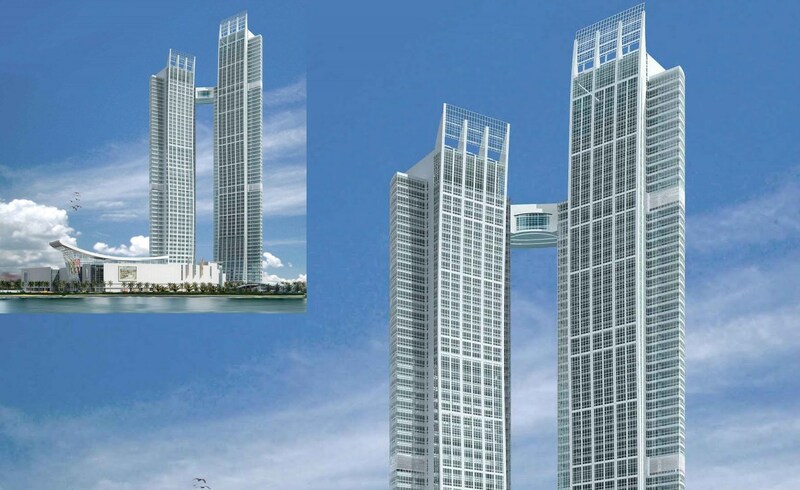 This project is located on the Abu Dhabi Corniche Seafront.